Editor’s Note: The number of riders reported in this news item was found on May 9 to be erroneous. LOSSAN discovered the passenger count to be less than 100 in the first two weeks. See “Commuter Train Ridership Lower Than Initially Reported” for details. 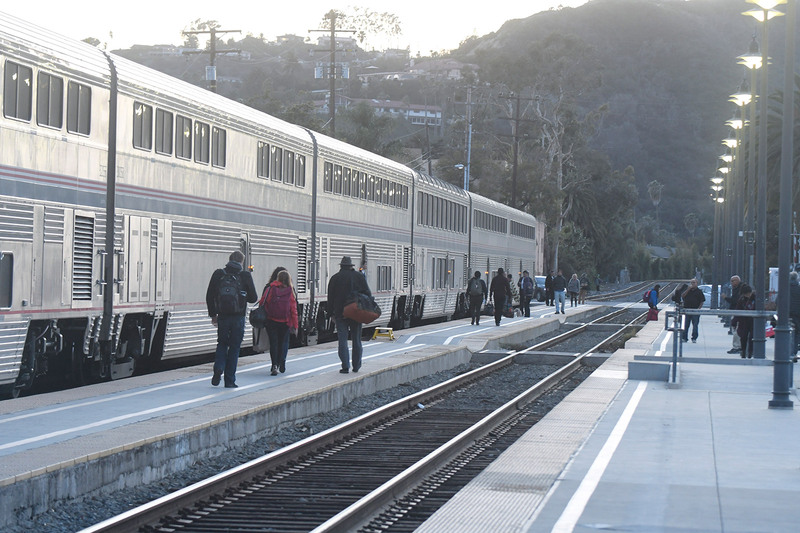 Results are in for the first two weeks of Santa Barbara’s new morning train. Jennifer Bergener, who directs the Pacific Surfliner agency, LOSSAN, said the first week saw an average of 189.6 riders, and the second week had 186.4. The highest number of people rode the maiden voyage on April 2 — 248 passengers. The next highest was 242 riders on April 11. The lowest was Friday the 13th, with 96 riders. The times were trending toward on time to Santa Barbara and early to Goleta by the end of the second week.